While chatbot development is in its infancy relative to other digital communications, the majority of consumers who use bots to connect with a business are left with a positive impression. It’s clear that the digital experience is evolving, and brands that want to stay ahead of the curve need to know two things: how best to employ this new technology and what their most coveted demographics are doing with it. This technology offers a new human interface, which is particularly interesting since much of the current human interaction with technology is through a screen, a very old-fashioned approach. The fact that the economically powerful millennial generation has such a strong interest in chatbot and messaging means that they are here to stay, and will doubtless improve over time. In context to Super industry, a simple chat window is all you need to interact with your new Super coach. If you previously needed a separate application for managing your Super, understanding Super that aligns with your Goals, planning for retirement and investment portfolio now you can perform all these actions without leaving the chat window. From the functional standpoint, a Conversational experience will be able to issue voice and text commands and receive responses in the form of a text in simple user interfaces. While most people consider chatbots text-only interfaces, we are already using various UX models that can be used in bots solutions. The interactions are at the forefront of UX and UI design. There are a tremendous opportunity and interest in creating holistic Conversational solutions that can strengthen the ability to improve Super member experience in mobile and connected devices. Recently, the maturity of chatbot applications, natural language processing, and machine learning has given us an entirely new angle to approach real-time, personalized member experiences. Chatbots are the ultimate culmination of universal content accessibility and the personalization effort. 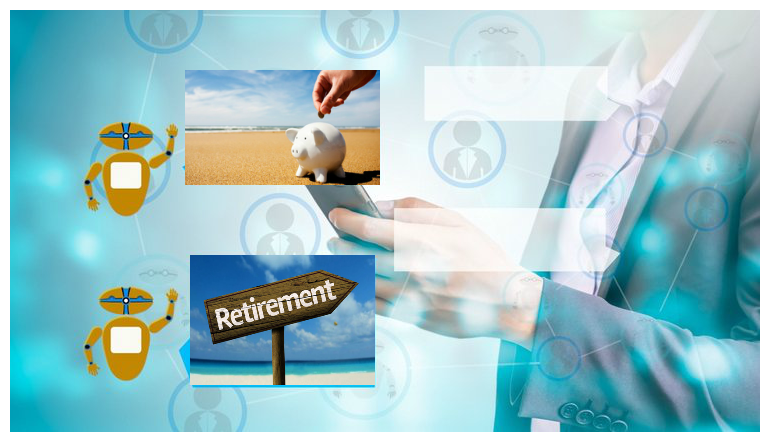 Members or new users sometimes find it difficult to find information and understand how Super and retirement planning is relevant to their situation. Without realizing it, content marketers have been progressively working to make Super content behave more like a chatbot for years. Think about it. Every personalization, automation, customization, and segmentation innovation has been enacted to deliver engaging, personally-tailored content directly to the member. Strategies, tools, platforms, and architectures have been moving more and more towards real-time content suited to exactly what our member needs to experience right now. 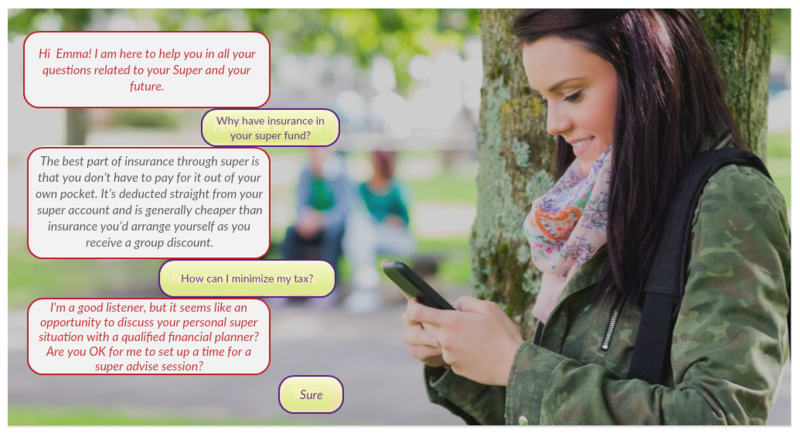 In an interactive dialog process, Chatbot can help in setting up goals for retirement and guide users through an easy, actionable steps towards achieving those goals. Whether it is reviewing contributions or assessing investment profile, chatbot needs to have a better context. This relates it to having access to member information. This will not only smooth the onboarding process but also impress and reassure the user that they are dealing with a fund that knows what it is doing – and cares.